Leighton-Linslade Town Council is due to meet tonight to discuss its proposed budget for 2019-20, which suggests freezing its portion of the council tax once again. 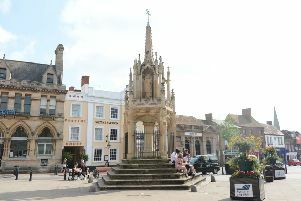 The tax base has increased from 14,270 to 14,456 homes, meaning keeping council tax at the same level will bring in a precept of £2,162,328 for the town council. An average Band D householder would again pay £149.58, which would be the seventh consecutive freeze. A council report to its policy and finance committee states: “A balanced budget can be achieved without the need to either draw down from reserves or indeed increase council tax. The budget is set to go before full council on January 28. The final council tax bill will also be made up from precepts from the fire and police services, plus Central Beds Council. CBC, whose charge makes up the bulk of the overall tax bill, is putting forward a 1% rise, but is consulting with residents on the possibility of a 2% rise instead.